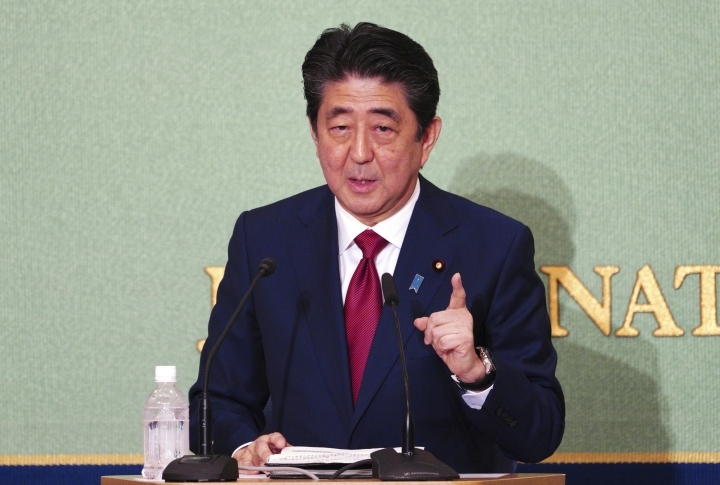 TOKYO — Japanese Prime Minister Shinzo Abe is vying for his third re-election as the ruling party leader next week, extending his stay in power to work on his long-cherished ambition — to revise his country's war-renouncing constitution. 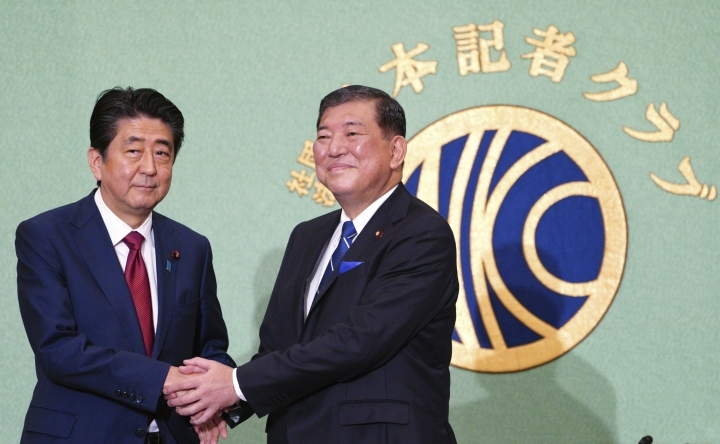 Abe reportedly has already secured about 70 percent of support from parliamentarians of the Liberal Democratic Party, and clinching the re-election would allow him up to three more years to work on a possible charter change. He has to tackle the economy and other priorities too. 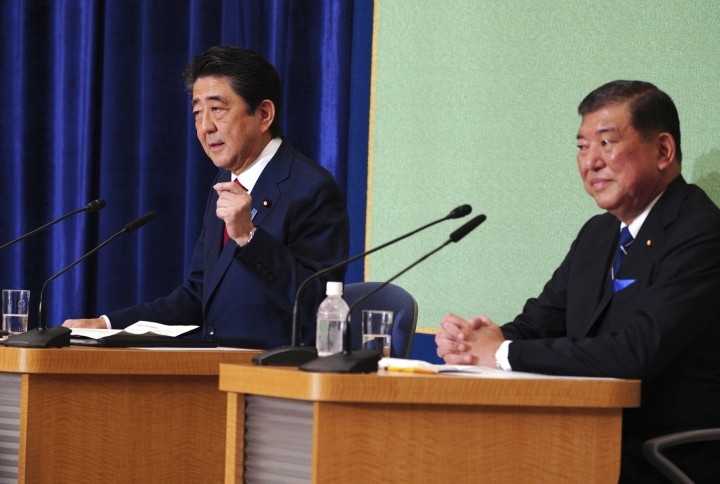 He faced his only challenger, Shigeru Ishiba, a former defense minister, during Friday's debate, which could be the only public discussion before the Sept. 20 vote. 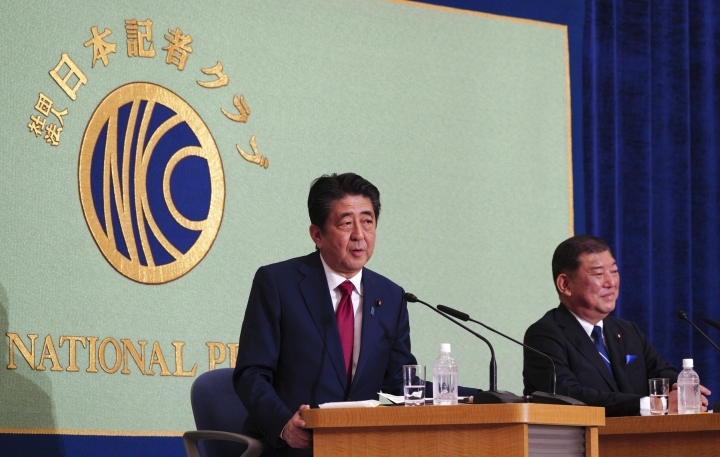 "I will take on the task of revising the constitution, a postwar challenge that has never been achieved, in order to open a new era," Abe told the nationally televised event. The 63 year-old Abe, prime minister since December 2012, is poised to become Japan's longest-serving leader with a historic third term. He reportedly has the support of least five main factions of the Liberal Democrats, securing some 300 of the 405 votes, as well as many others among local party members. 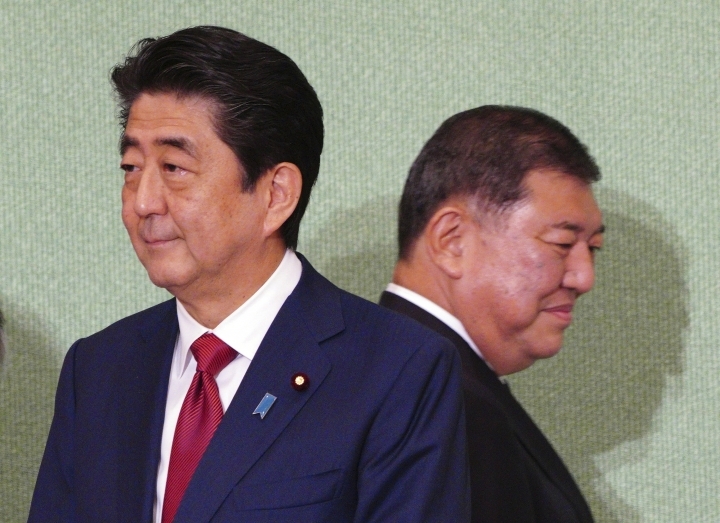 With Abe's victory widely expected, the main focus has shifted to who would get key party posts and a Cabinet lineup, or his possible successor. A revision to the U.S.-drafted 1947 constitution has been the party's decades-old pledge that none of Abe's predecessors could achieve. It includes Abe's grandfather, former Prime Minister Nobusuke Kishi, who also saw the constitution as humiliation following Japan's World War II defeat. 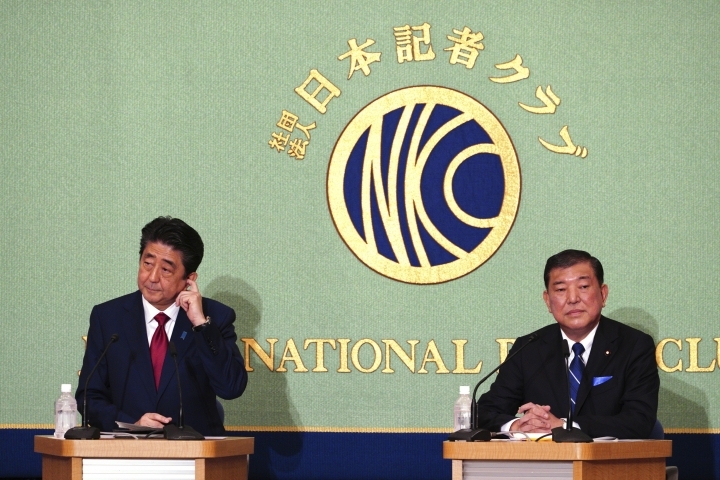 Abe said earlier this week that he hoped his party could submit a draft revision to a parliamentary session later this year. His coalition government holds a two-thirds supermajority in both houses, whose support is needed for a national referendum on constitutional amendments. Abe, the main force behind the revision, wants to rewrite Article 9, which allows the use of force for self-defense only and bans it for settling international disputes. Abe's party has adopted an interpretation of the article to allow Japanese troops to defend Japanese allies under foreign attacks. Many Japanese are more concerned about their salaries, high cost of child care and education. Media polls have also showed a majority of the public oppose the constitutional change under Abe's hawkish government. Abe faces other important issues, including the country's aging and declining population and the royal succession in the spring. He also has to deal with security concerns stemming from North Korea's nuclear and missile threats, as well as intensifying trade friction with the U.S., which could shake his friendly relations with President Donald Trump. Abe has enjoyed strong backing from his party members, who credit him for leading the party to major victories in national elections amid a lack of viable opposition. 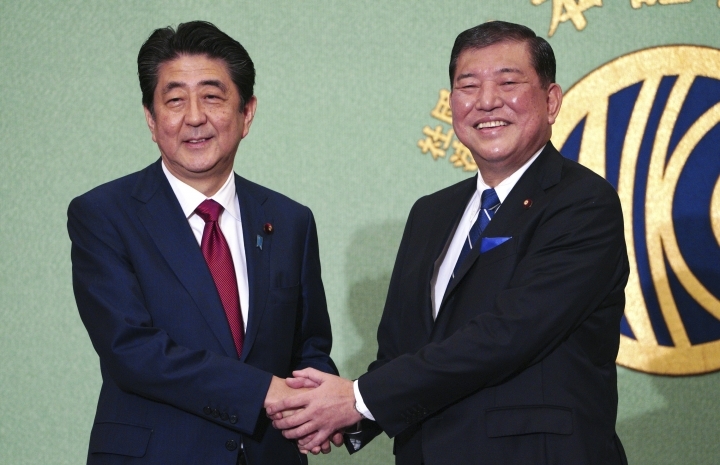 He has lasted so long in the absence of policy debates because many party members are primarily interested in getting his and other senior lawmakers' backing in next elections, veteran political analyst Soichiro Tahara wrote in his blog. 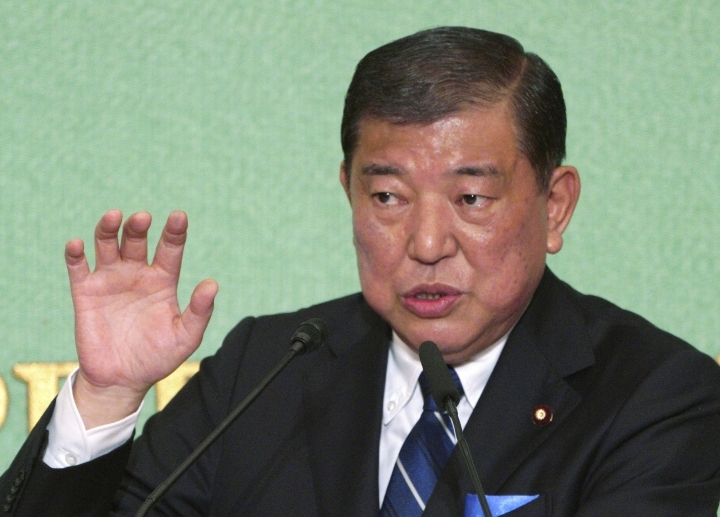 "Many Liberal Democratic lawmakers have become 'yes men' of the leadership," he wrote. Abe has survived a series of scandals, including cronyism allegations against him his wife, Akie. Despite attacks from opposition parties and criticism in the media, his support ratings have recovered to about 40 percent, considered high for a leader after five years and eight months in office.